The Stranger is watching you … again. The chilling sequel to WHEN A STRANGER CALLS, this suspenseful thriller makes its North American Blu-ray debut this May from Scream Factory. Featuring a new 2k scan of the original film elements WHEN A STRANGER CALLS BACK includes a new interview with director Fred Walton, new interviews with actress Carol Kane and actress Jill Schoelen, as well as Fred Walton’s short film THE SITTER as bonus features. Five years after her own terrifying baby-sitting ordeal, Julia Jenz (Jill Schoelen, The Stepfather) is trying to put her life together when the past comes back to haunt her. Someone is breaking into her apartment, moving objects around and toying with her. The police think she’s just a hysterical coed, but student advisor Jill Johnson (Carol Kane), similarly victimized thirteen years earlier, is determined to nail Julia’s stalker. Retired detective John Clifford (Charles Durning), who saved Jill’s life before, must find and outwit the culprit before it’s too late in this riveting sequel that reunites writer/director Fred Walton and the stars of the original When A Stranger Calls. 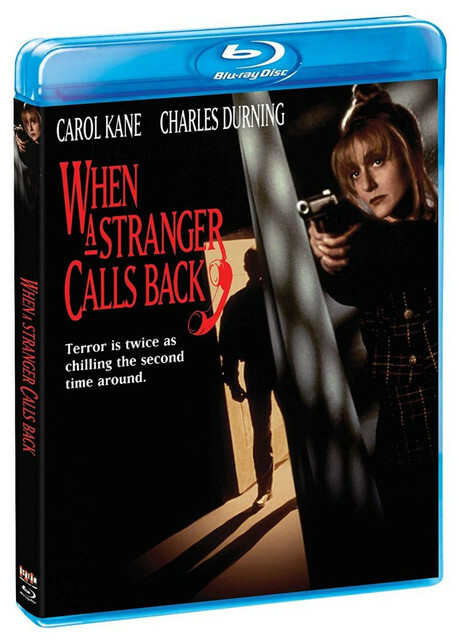 WHEN A STRANGER CALLS BACK Blu-ray will be available May 28th.